After a twenty year break following Day of the Dead in 1985 in 2005 we finally got a fourth installment to the Dead series, Land of the Dead. Other than the Night of the Living Dead remake in 1990 I don't know what George A Romero was up to during that time, his Wikipedia entry is pretty empty for that period. So in Land of the Dead it's now been three years since the zombies appeared and things have settled somewhat. Zombies inhabit most of the world and humans are bundled together in various defensible outposts. For this film we're in a corner of Pittsburgh surrounded by a river on two sides and an electric fence on the others. As I've said before, the scope of each Dead film increases each time however by this point we're dealing with a large town and it begins to feel a bit too big I think. It begins to feel like they're too safe in the walled off city and there's not a lot to worry about. Of course by the end of the film that turns out to not be the case but that's mainly due to human greed and stupidity than the zombie threat. Still the film looks pretty good it does have the biggest budget of the series after all as it was the first to have major studio backing. 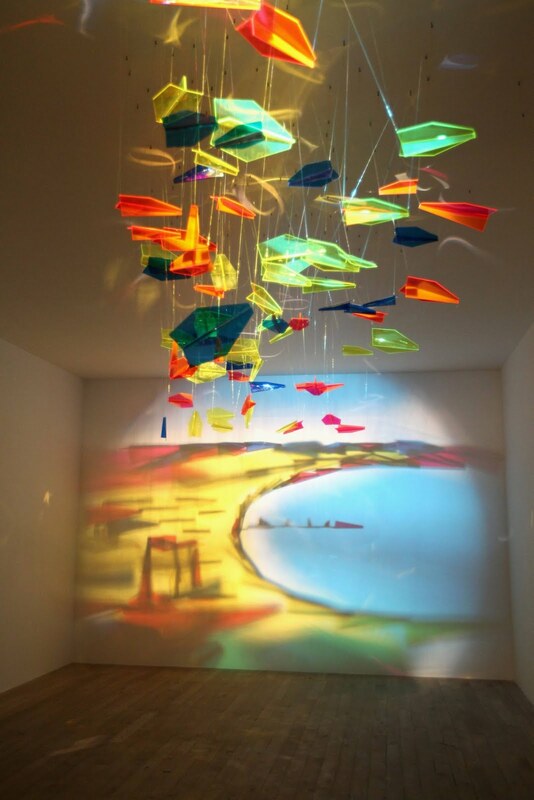 It's possible that was part of the problem either by attempting to go to big or from studio interference. The end result isn't awful but it's nowhere as good as the original three films. Sometimes it comes off as more of a gory action film than a horror film. Final installment of the recent new album posts. This one is the new release that reminded me to pick up the other two. 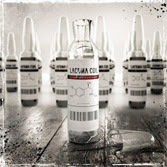 The new album from Lacuna Coil, Dark Adrenaline. More more striking than their previous album, I really enjoyed this. Of course I'd already heard a couple of tracks before as they previews them during their last tour which I saw late last year. The duet vocals always make for an interesting sound, something I've never seen in another band. Although I'm sure another exists somewhere. For obvious reasons Cristina Scabbia sometimes overshadows the rest of the band though, it was ages before I learned the names of the others. Even now I still forget sometimes. Although that's partly because they're difficult Italian names such as Cristiano Mozzati. Trip the Darkness is a great first single and I really liked Upsidedown as well. The cover of R.E.M's Losing My Religion is interesting but it's a bit odd to sing along to as you know the words but the timing it slightly different. Great album. There's no snow in either Manchester or Sheffield. However travelling between the two means crossing the Peak District and there is a bit of snow in the middle. It seems that Lego are doing more and more licensing deals these days. We've got Lego Star Wars, Lego Harry Potter, Lego Pirates of the Caribbean and even Lego Batman and Lego Superman. Gone are the days of Space Police and Blacktron, which is a shame because those we're my favorite. If there was a modern version of those I would totally buy them. The Alien Conquest series doesn't have the same feel unfortunately. I guess the closest now is the Star Wars series and I do still buy some of those sets. 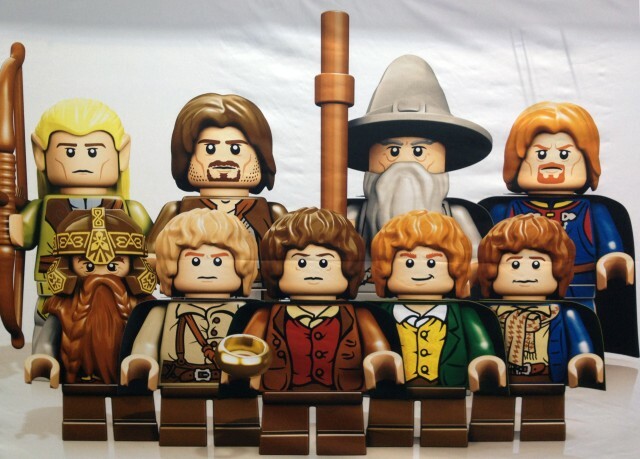 However there's about to be a new series which I'm interested in, Lord of the Rings! 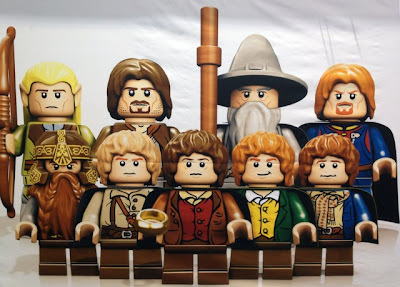 I've only seen the picture below so far but they really seem to have captured the characters well and I want to see more. 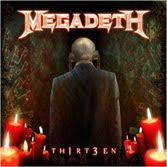 Another album which has been out for a couple of months but I kept forgetting about, the latest from Megadeth. However I'm not finding myself with very much to write about this one at the moment. I enjoyed listening to it but nothing really stood out as exceptional. It felt like just another Megadeth album not anything particularly special which is unfortunate really. There are some good moments and solos but overall it is underwhelming. Perhaps I need to listen to it some more times first but the first impression was not strong. I can't tell you which was my favourite track as I don't remember which is which. 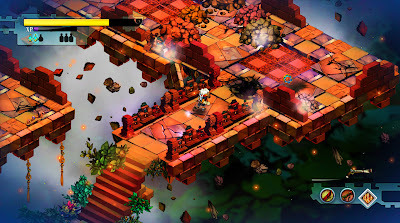 I've been interested in this game for a while due to some of the people working on. Produce by Ken Rolston who was lead designer on The Elder Scrolls 3 & 4, written by fantasy author R.A. Salvatore and with Todd McFarlane, creator of Spawn, working on the artwork. Probably not names that are widely known but they are to me and the idea of a fantasy role-playing game created by those three has a lot of appeal. The game is not going to be released until February 10th however a demo has recently become available on Steam or Origin. As they're both published by EA, there is a cross promotion where if you play the demo you get a bonus item in Mass Effect 3. I'll definitely be getting Mass Effect 3 and I was already interested in Kingdoms of Amalur: Reckoning so I figured I should give it a go and see what it's all about. To start with it felt a bit strange. The controls seemed a little off. Like Skyrim there were a few things which were different from what you'd generally expect and it took some getting used to. It felt like the camera was moving much to fast as well. The opening and tutorial through you right in and I wasn't enjoying it as much as I would have hoped. 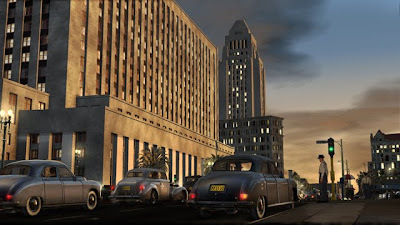 I later realized that the control problems, particularly with the menu, stemmed from the usual problem. They've been designed with Xbox and PlayStation controllers in mind and keyboard/mouse was only a secondary consideration. I did eventually get used to the controls. Also once I was out of the tutorial area and in to the open world things did feel a lot better. It definitely looks great in the high fantasy everything glows kind of way and the performance was good too. There were one of two odd glitches and freezes but nothing game breaking and I've seen much much worse. It's looking quite polished. The levelling system seems like it might be a interesting and a bit different from the norm but there wasn't really time in the demo to fully explore it. I'm still interested in the game but slightly less than I was before. I will still be keeping an eye on it but I don't think I will be considering it a release day purchase anymore. I'll probably wait a few months and grab it in a sale at some point. 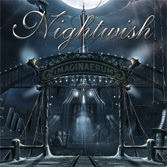 After a huge tour and a bit of a break it's finally time for the second Nightwish album with Anette Olzon on vocals. This album was actually released at the end of Novemeber last year but I kept forgetting to pick it up. Finally Amazon reminded me because I'd been looking at other albums and I grabbed the MP3 download. It's an interesting album with a wide variety of styles, some of which are not even metal at all. Slow, Love, Slow is pure jazz for example. Still even with all that variety it still feels like a consistent album. That's probably in part because it's almost a concept album. It has been produced alongside a film project with similar themes and will later be used as the sound track for that film. Although the band have said they wanted to make sure the album would stand alone as a proper album not just a soundtrack album. I think they have managed that fine. Storytime is probably the most 'normal' Nightwish song, which is probably why it was the first single. I think Scaretale is probably my favorite track though, but special mention also has to go to Arabesque for being unexpectedly cool. 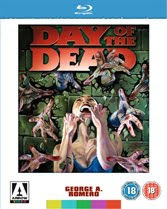 Day of the Dead is from the same era as Dawn but probably not as famous to the general public, it's still good though. Just like Dawn of the Dead it's been a long time since I last watched this. There are quite a lot more attempts at shocks in this one but it's still not really a scary type of horror film, to me anyway. As each film goes by we get a bigger scope. In Night of the Living Dead we're just in a farmhouse on the day the zombies first appear. Then in Dawn of the Dead we have the following days and weeks as people find ways to survive. Now in Day of the Dead it's been months and we're with a group of soldiers and scientists in an old WWII bunker doing research and experimenting on the zombies. Of course as usual things go wrong and people start dying, probably mostly due to going a bit stir crazy after being stuck in a bunker for months. I must also take a moment to praise Arrow Video, the company who have but together the packaging for this and Dawn of the Dead. They are excellent quality with great film transfers, extensive extras and addition things like a Dawn of the Dead poster and a Day of the Dead comic. I've only recently learned about Arrow Video, it seems they specialise in quality releases of cult horror films. I'm very impressed and I expect these won't be the last I buy from them. 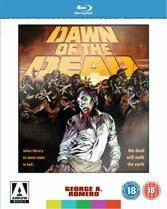 Dawn of the Dead is probably the most famous of George A Romero's Dead series. As the zombie threat continues we see the story of four survivors who hide out in a shopping mall. It's been years since I last saw this film and the first thing that surprised me is all the character introduction at the beginning before they even get to the mall. I'd completely forgotten about all that. Another thing I'd forgotten is how comical some of the zombies are in this one, with their stumbling walks and stuck wobbling on escalators. It's definitely a horror film and there is plenty of gore (although the blood is far too red) but I don't think this could ever be considered scary. Still even after 34 years it stands up as a great zombie survival story, there's a reason it's probably the most famous zombie film ever. On the new Blu-ray version I have there are three different cuts available to watch. I'm not familiar with the differences and I think I've only seem the theatrical cut before, that's what I watched today as well. I wonder how many changes there are but I'll leave the alternate cuts for another time. I've got lots to catch up on and watching essentially the same film two days running is not of interest right now. I'm catching up on things I've bought and not watched, not doing a detailed analysis of the differences between cuts. So straight on to Day of the Dead next. No major spoilers here. I'm having a hard time deciding what I can write about this book which hasn't already been said by everybody else. Normally I don't read a lot of book reviews, for books I intend to read or otherwise. For the most part all my choices are either recommended by a friend or are famous classic that I ought to have read. So it's a little weird when you're suddenly read the same book as thousands of other Nerdfighers and seeing all their thoughts on You Tube, Twitter and Tumblr. 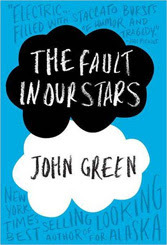 The release of John Green's last book was before I started watching his videos, so I've not experienced this before. There's a quote from Jodi Picoult on the front, "Electric.. Filled with staccato bursts of humor and tragedy". I can't sum it up any better than that except to use the same words as everybody else. Happy and sad, sad and happy, poignant and gripping. The characters are interesting and the main ones were instantly likable. I found it difficult to put down and got though it in just over two days. I'm sure as always I missed a lot of the subtext, especially when one of the character is so interested in metaphor. For me one of the most interesting parts is thinking back though John's videos over the last three years and seeing all the connections from his life. Which in some cases obviously influenced the book or in other times parts of the book coming out in videos as he was obviously thinking about it at the time. From discussions about the fear of oblivion, to fake ruins in Indianapolis, his whole trip to Amsterdam and more in between. Great stuff and it's a shame it's over now. Although of John Green's four and a half books I've still only read two of them, but An Abundance of Katherines is waiting on my Kindle so I think I might have to read that next. It's been an odd day on the Internet with various sites going offline in protest against the new bills proposed in the US known as SOPA and PIPA. I understand the gist of these bills but I must admit I've just not had time to look in to the details as much as I probably should have. Even though I'm in the UK there are still many websites which are currently hosted in the US including some of my own. Although my main sites are hosted on UK servers of course in Europe we've got the Anti-Counterfeiting Trade Agreement (ACTA) and the Digital Ecomomy Act (DEA) to deal with which are not much better. I've been a pirate, I'll admit that, but these days I'm reformed. Sure intellectual property owners have rights but you have to tackle piracy in the right way. I think The Oatmeal described it best, "[SOPA is] like dealing with a lion escaped from a zoo by blasting some kittens with a flamethrower". The Internet needs to stay open and free or it will die. When Napster was shut down people moved to Audiogalaxy, then Kazza & eMule, then on to Bittorrent etc. That's forgetting that all these files come from Usenet and IRC in the first place, all this software has just made it easier for the less technically inclined user. The list goes on and there will always be something new. If DNS comes under government control then there are already people out there planning a "Dark Net" so we can just ignore the locked door and jump through the open window. I don't know what the answer is, but this is not it. Especially when Lamar Smith, author of SOPA, apparently had an uncredited Creative Commons image as the background for his own website. He's not even following his own rules! I missed out on Sherlock when series one first aired but I eventually caught up later last year. I don't know why I waited so long to catch because it was brilliant. More great TV from Moffat and Gatiss. Now series two has just ended and I think it was even better. I love the whole modern era concept it works so well. I've read a few of the original stories by Doyle but only one which has been adapted for the series. That is A Scandal in Bohemia which forms the beginning of series two episode one. 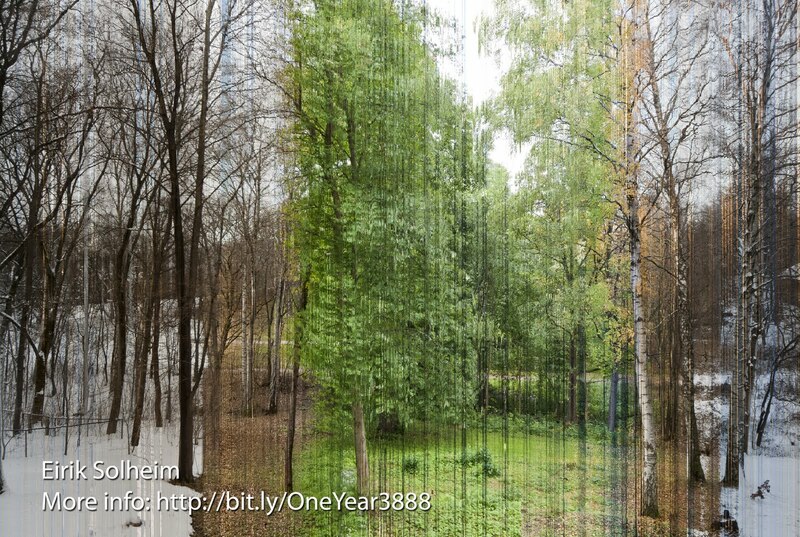 It's interesting how many similarities there are between the two despite the 120 year defference in the settings. I am glad to see that a third season has now been officially announced. Even though they're feature length, three episodes makes such a short season and I want more. Well sort of, considering it's an open ended open world role playing game. In a game like this there comes a point when you begin to wonder what it would be like as a different character. You find yourself with more gold than you could ever spend, probably more than the net worth of the entire country. You own a house in every city. You're head of the Fighters Guild and head of the Mages Guild. You barely have to touch a bandit before their heads fall off and they fall over dead and even a dragon only takes three or four hits. You're rich and overpowered and running out of things to do. Sure there are an infinite number of procedurally generated quests you can do. The Jarls will always have bounties which need to fulfilled, the mages always have books which need to be retrieved etc. However most of the full story quest have been completed and nearly everyone in the country owes you a favor. That's point I'd got to with my first character in Skyrim so I figured it was about time I finished the main quest line. 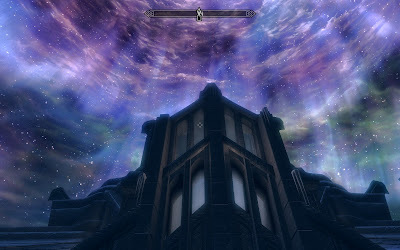 So I headed off to gain entrance to Sovngarde so I could finally destroy Alduin The World Eater. 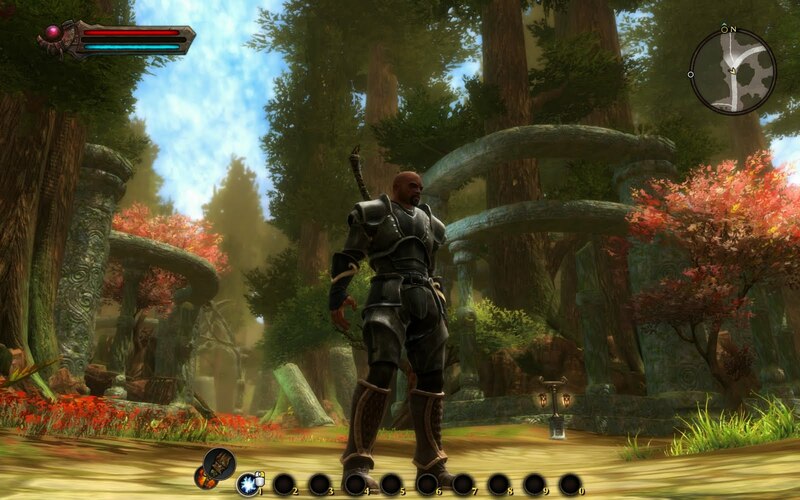 Of the five Elder Scrolls games I don't think there is any doubt that this is the best one. Sure it still has some flaws but Bethesda have done a great job building on what made the previous games great and not being afraid to cut things which didn't work so well. The graphics and sounds are all excellent and I don't don't think I experienced a single crash-to-desktop unlike the previous two installments. 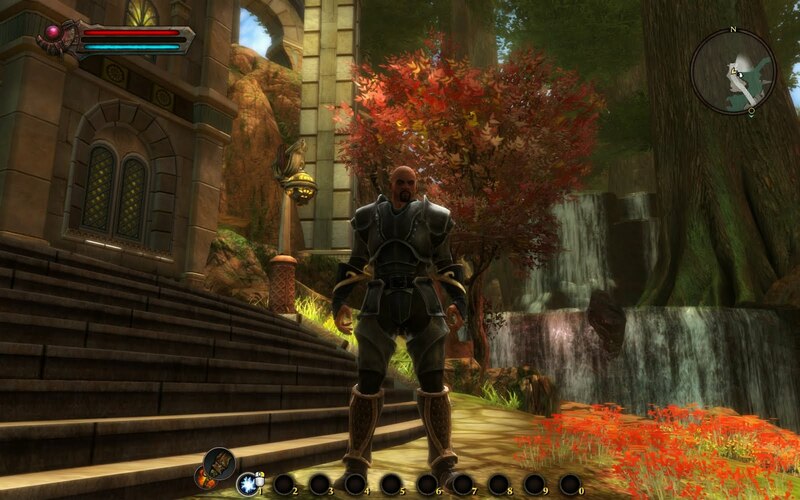 By the end my character had reached level 43 and as I mention had pretty much achieved everything I wanted him to. There are still many thing I have not done but I didn't feel like they were suitable for this character. In terms of D&D stereotypes I was basically playing as a paladin. A do-gooder magic knight, rescuing damsels, returning stolen treasure and destroying the undead. It was not appropriate for this character to be joining the Thieves Guild or the Dark Brotherhood for example. This is one thing which annoyed me with the main quest line. 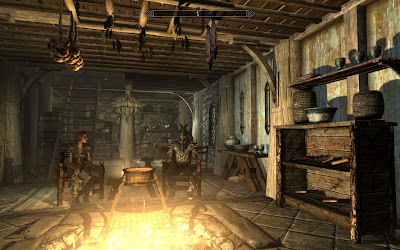 There is one point which basically forces you to initiate contact with the Thieves Guild and start their quests. Of course you don't need to continue any further but from then on it's stuck in your journal as unfinished. 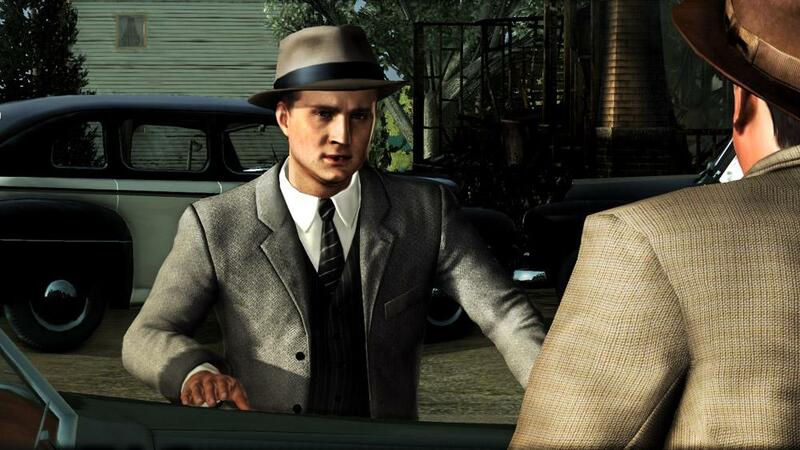 My character wouldn't want to steal a ring and set up someone else, he would have wanted to arrest everybody involved. That wasn't an option though. There were some interesting choices to be made with other factions though. There is a war going on between the Imperium and the Stormcloaks and you have the option to choose a side. The Imperials paint the Stormcloaks as terrorists while the Stormcloaks think the Imperials are oppressive. They both made very good points and I spent the whole game unsure of who I should pick. Games seem to be doing that a lot more these days. Avoiding the traditional good verses evil and going for something much more more complex. In the end it turned out that choosing neither and walking the neutral line was a perfectly valid option which made it easier for me. Just like the thieves and assassins making that choice is something I will leave for a second playthrough. 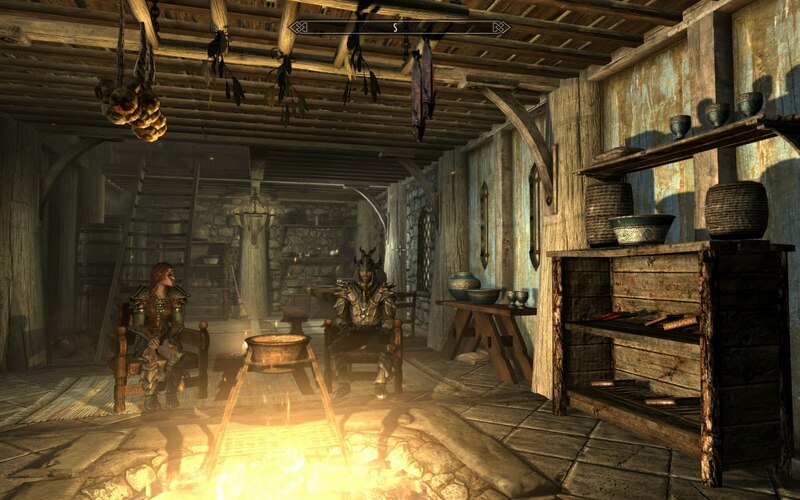 So for now Marcus the Nord has retired to his home in Whiterun with his wife. He should probably take that armour off now I guess! 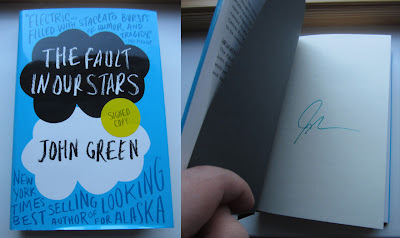 That's the nickname for John Green's signature, a copy of which I now have. After some ordering confusion (I switched my order from Amazon.com to Amazon.co.uk) my copy of John Green's new book The Fault In Our Stars arrived in the post this morning. I did have a look for it in the shops a few days ago, as John did ask those of us who watch his videos to "support your local bookstore". The problem is due to disagreements over digital publishing rights, John doesn't have a UK publisher for the book and so in the UK we have to import the US version. That's why online ordering was more complicated than usual and why it was so slow to be delivered. It also seems, in Sheffield at least, that no bookshops have any copies either, although there were apparently supposed to be. I've got my copy at least, but it seems a shame that anyone who isn't already a fan of his isn't going to hear about it. I've yet to start it but people are already calling it his best yet. 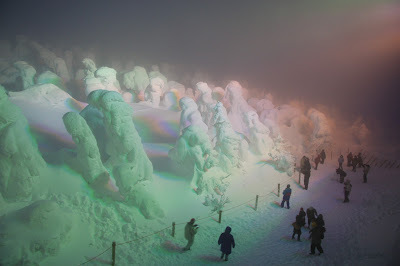 No snow here yet this year, but I did find this interesting photo of snow covered tree in north Japan. Some I had before, one I got for Christmas and the rest I just picked up to complete the collection. My backlog catchup is starting with lots of zombies. There are six films in George A Romero's Dead series. The first three (the famous early ones) have all since been remade. As I mentioned a couple of days ago, Night of the Living Dead was remade in 1990. 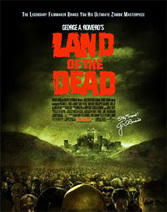 Dawn of the Dead and Day of the Dead were remade more recently in 2004 and 2008. 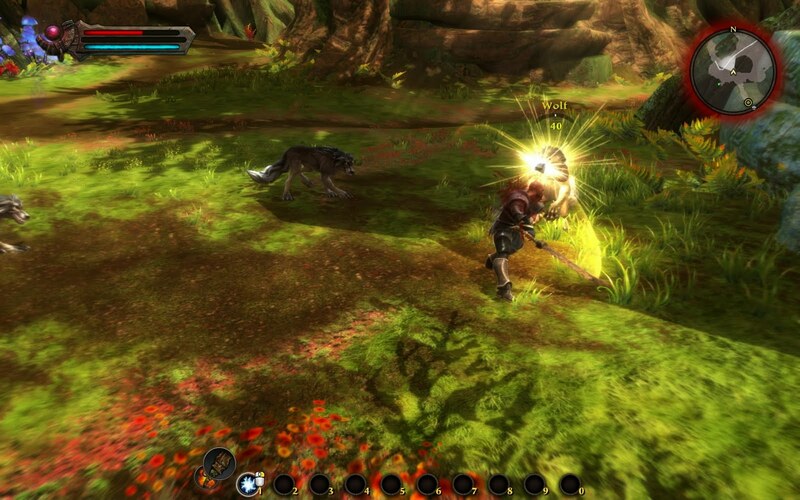 The Dawn and Day remakes are standalone and don't count as part of the series. However Night is a special case. It wasn't directed by Romero but he was still on board as writer and producer. It was directed instead by Tom Savini who was already part of the team having been special effects and makeup artist on (the original) Dawn and Day. For those reasons the 1990 version of Night of the Living Dead feels like part of the series even though it's a remake. I've already listed some of the reasons I prefer the remake over the original but this is another one. It's as if all the lessons learned making the second and third films were then applied to the original and improved it. Most people don't seem to agree with me though. IMDb users give the original an 8.0/10 and the remake a 6.7/10. Same on Rotten Tomatoes, 96% for the original and 66% for the remake. I wonder if I'd think the same if I hadn't seen the remake so many times before I first saw the original? An I mentioned in my latest video blog, one of my goals at the moment is to clear the backlog of films and games I have to watch. So whenever I'm stuck for a blog topic, like today, then a mini review of the latest film I watched is likely to appear. So today lets talk a little about Night of the Living Dead. George A. Romero's first zombie film from 1968 is one of the earliest instances in film of zombies as we know them today. It's an interesting part of cinema history to see the roots of all zombie films since then. However I'm so familiar with the 1990 remake that it always feels just a little bit wrong to me. The setting is the same and the characters have the same names however they act very differently and the story has lots of differences. I guess it's a sign of the time they were made. I much prefer Patricia Tallman's eighties empowered take charge Barbara to Judith O'Dea's sixties catatonic with fear 'oh I need a sit down' Barbara. I recently found this interesting photos. 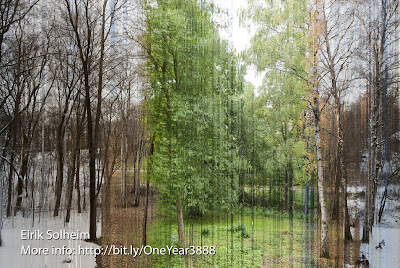 Over three thousand photos taken over a year in one spot and then combined into to a single photo to show an enitre year in a single picture. Click for big. 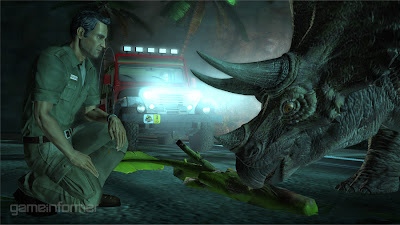 Last game from the Steam holiday this time around and it's a bit of an odd one, an adventure game about Jurassic Park. It's a newish release but based on a 17 year old film. Although the creators, TellTale, have also recently done a game based on Back to the Future which is older yet to me it somehow seems like a more valid choice. I mean I guess they're both famous films it's just seems like Jurassic Park is a strange way to go for your second film based game after Back to the Future. Anyway about the game itself. It's an adventure game which means it's like an interactive story where you take some control of some actions and choices but a lot of the time it's just moving forward on rails. I guess you could say it's similar to a Choose Your Own Adventure book. It's fun that the story is attempting to weave its way through the story of the first film and fill in some gaps. Unfortunately some of the implementation is a bit off. Some of the Quick-Time-Events I found really difficult to hit on time. That could be my own fault but it felt like the game wasn't responsive enough. The graphics are reasonable but not amazing, probably about what you'd expect from a fairly small company though, it's enough. From what I've played so far it seems okay but I'm not in a huge rush to play the rest of it. 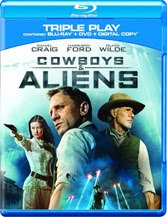 It's not very often that I buy a film on disk which I haven't actually seen before but Cowboys & Aliens has now been added to that list. The title on its own is a big draw for a sci-fi fan like myself but then you look at all the talent behind the film and it gets even more impressive. First there's the cast, staring Daniel Craig, Harrison ford and Olivia Wilde supported by Sam Rockwell, Keith Carradine and Clancy Brown. That's a very good list. Then there's the writers, Roberto Orci, Alex Kurtzman & Damon Lindelof, between them they're responsible for Lost, Star Trek 11, Fringe, Transformers and Mission Impossible 3. Next there's the director Jon Favreau who is of course responsible for Iron Man 1 and 2. Finally on top of all that you've got Steven Spielberg in an executive producer role. I quite enjoyed the film. It was well made and looked and sounded great on Blu-ray. The cast all acted well. The special & visual effects were all good quality. Yet for some reason it just doesn't seem to live up to all that talent. It's like something was missing that could elevated it much higher, but I don't know what that is. I guess it could be a case of too many cooks. So instead we have an above average sci-fi film which is fun to watch at the time but won't have you thinking about it for days afterwards. Another pickup during the Steam holiday sale and also another role playing game. This one though is a much more traditional run around with a sword and stab monsters type of game. It does have one really interesting feature though, it's narrated, constantly as you're playing, not just in cutscenes. As you play the things you do are described by the narrator and it's really interesting how many circumstances they've accounted for. I was first surprised by it when I first discovered that some of the scenery was destructible if you smashed it with your hammer. I ended up going around the room smashing things and then the narrator said "The kid just rages for a while". I've not played much yet but I look forward to exploring this one some more. The Steam holiday sale is now over and as usual it has brought various new games to my attention at ridiculously reduced prices. Today I'm going to talk about one called Sequence. If you'd tried to explain this to me without video evidence I don't think I would have believed you. I would never have dreamt that it would be possible to combine an RPG with a rhythm game and have the result not only be fun, but good fun! 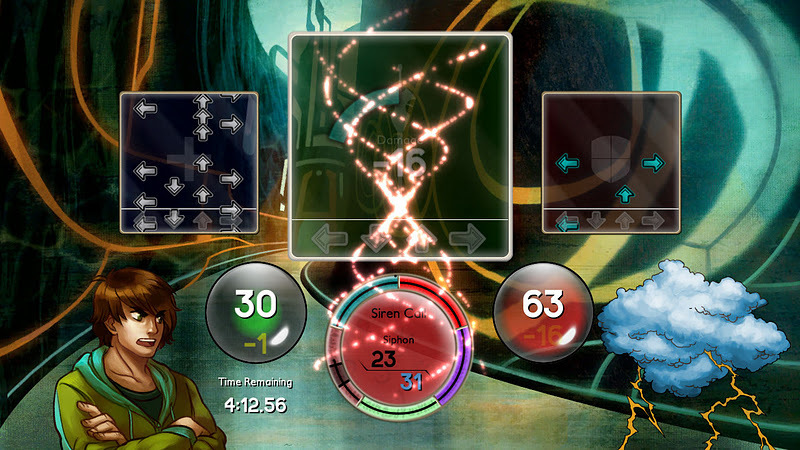 The rhythm game is the combat mechanic, requiring you to hit key in time with the music in order to cast offensive and defensive spell while battling various creatures in a magical tower. It's not the kind of game where you directly control your character like Skyrim or Dragon Age but is more like an interactive story with various events that occur once you have completed enough battles and collected the necessary parts. The story is well written though and the voice acting is top quality and so far it has been very enjoyable. The Vlogbrothers tend to change things up a little each year and this year they're expanding on to brand new channels. They've done a fair amount of educational videos over the years but now there will be two new channels dedicated to learning. The first of these is SciShow in which Hank Green will teach us many sciencey things in easy 4 minute chunks. Would you like to know all about Non-Newtonian Fluids? Now you can get a fun introduction in 3 minutes 30 seconds as that's what episode one is all about. Go subscribe and get more science in your life. I'll probably make one of this week's video blogs about my goals for 2012 as that was also the topics in my aborted first attempt at video blogging. However I'm going to make a quick post about it here as that's generally the thing to do on the first day of the year. Of course the problem is that I not really decide what my goals are yet. Probably the main things I need to do is work on improving my business performance, but that's a bit a dull topic for this blog and I've not worked out how I'm going to do that yet. Everything else I can think of at the moment is just boring health related stuff which doesn't make for an interesting blog post either. So instead of that for now about how a ten minute low quality video of new year fireworks over Sheffield?